It is usually this time of the year when we have to deal with biting cold temps and shoveling heavy wet snow when we have nostalgic memories of the past summer. My name is Ryan Dotson and I am a survival expert. I have studied survival since I was seven years old and am currently considered an expert guide in the field. My son and I have a tradition of night fishing every summer. 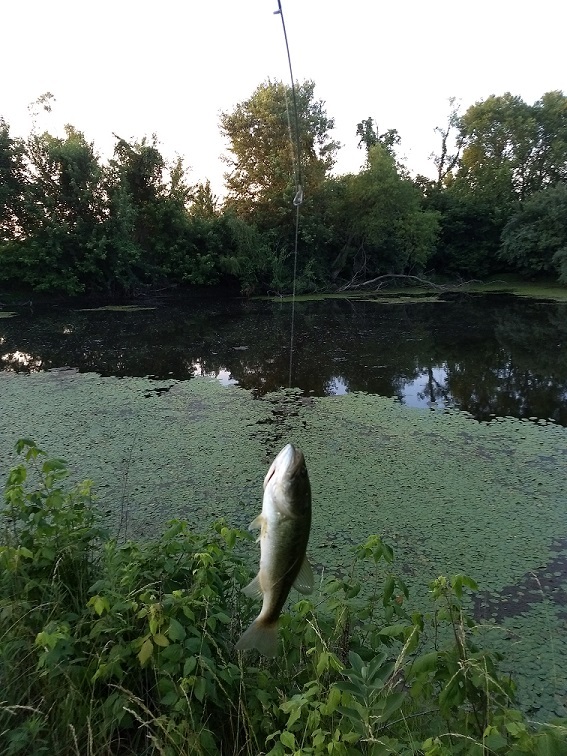 When it gets hot in June and July, the best time to fish for bass and catfish is at night. However, every summer we have a dilemma. We can either sleep under the stars and fight the mosquitoes, or we can sleep in a tent and lose the cool breeze that makes it bearable. This year we decided to try out the SansBug setup to eliminate our problem. I honestly had my doubts about the product. I have tried products like this in the past and have not been impressed. We had the pop-up screen shelter set up before dark and went about our process. We typically cast and reel for bass until dark. Then we switch to fishing for catfish by leaving the baited line in the water while we sleep for a couple hours. I set an alarm on my phone to wake me up every two hours to check the line. Then at dawn we move back to fishing for bass. As the sun set on our shoulders, we reeled in a couple good sized bass. The mosquitoes were beginning to bite, but this was not uncommon. My father is an entomologist, so I can never help but have the thought of West Nile and Zika Virus in the back of my mind. As darkness set in, we retired to our SansBug enclosure. Once zipped in, I noticed that we could hear the mosquitoes buzzing but that we were no longer getting bitten. This was a huge relief. The open mesh allowed the breeze to flow in off of the water cooling our faces. My biggest concern was the size of the enclosure. I am 6’1”, and most tents made for one person are a tight fit. Thankfully the SansBug was very comfortable. We drifted to sleep with the sounds of the bullfrogs and the crickets, hoping that our lines would be heavy when we woke. Two hours later I received my second pleasant surprise. Typically, I wake groggy and have a hard time getting through the small door of the tent we use. The SansBug screen shelter has a door that consists of one entire side of the enclosure. It was plenty big for me to comfortably exit despite my size and wobbly nature. We continued to check our lines all night, and woke with the breaking sun warming our faces. After a few more casts for bass, we packed up and headed home. The solid fabric base of the enclosure had kept us from getting soaked with dew in the tall grass. I noticed that the only mosquito bites I had were from the evening before we zipped up for the night. It was a pleasant evening and a glorious morning. Reflecting on the night, I was thankful for having the SansBug pop-up screen shelter with me and cannot wait to use it again the next time we plan a night fishing trip.